Many Social Justice roads in North Carolina seem to lead back to the same place: Action for Community in Raleigh (ACRe). We’ll get into ACRe, but first, a look two closely tied sub-organizations. “The center currently provides space for several Durham and Triangle-area organizations, including youth groups like the Youth Organizing Institute and the N.C. Student Power Union. LGBT groups frequent the center, such as the iNSIDEoUT 180 gay-straight alliance coalition and the Lavender Kitchen Sink Collective for low-income and minority women. During the Occupy Wall Street protests of late 2011, members of Occupy Durham held meetings at the center whenever rain forced them out of their camp. 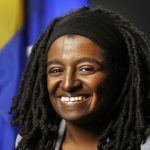 The DSC website is registered to Jillian Johnson, a Durham Councilwoman, Social Justice activist and Durham Black Lives Matter organizer. While the DSC does not offer a staff or membership list on their website, we can trace their leadership back to their financial benefactor. The DSC’s donation page sends users through a donation portal run by the ‘Network for Good’. On the Network for Good site, we see donations being made to DSC are actually going to a 501(c)3 called the Action for Community in Raleigh (ACRe). Similarly, when one explores the “Freedom Fighter Bond Fund” page at the DSC website, we see this fund is supported financially by ACRe and the page properly notes ACRe is a 501(c)3. However, the Freedom Fighter donations are not being routed through the Network for Good and ACRe, but instead, through a PayPal account belonging to the Durham Solidarity Center. 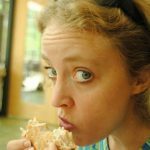 The PayPal page has no mention of ACRe or any tax exempt status. Individuals making donations to that fund may be under the false impression that they are making a tax-deductible contribution to ACRe, when in fact money appears to be going directly to DSC. The DSC’s Freedom Fighter Bond Fund was most recently used by “Charlotte Uprising” to bail out Black Lives Matter protesters in Charlotte. Charlotte Uprising also has a donation link for their ‘General Fund’. These donations are being routed through the Southern Vision Alliance (SVA). Remember this piece of information about the Southern Vision Alliance, we will return to it. According to ACRe’s records filed with the North Carolina Secretary of State, the organization was formed in 2007 and was assigned the tax ID number 20-2921055. ACRe’s address is 804 Old Fayetteville Street in Durham, which is also the address for the Hayti Heritage Center and DSC. 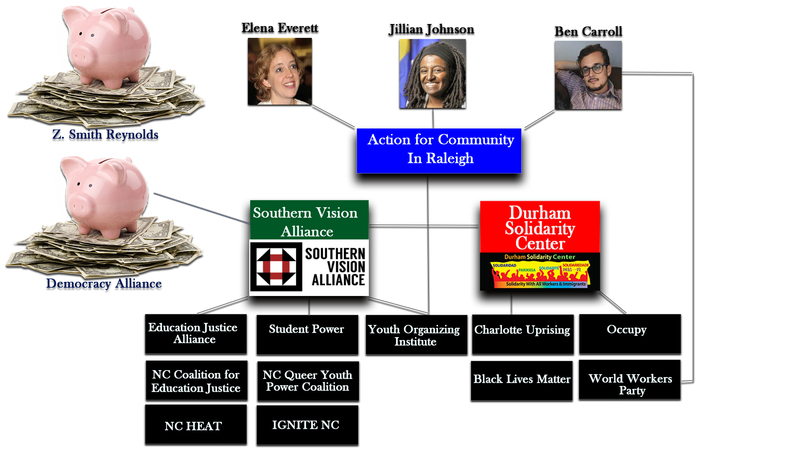 The point of contact listed is Elena Everett and ACRe has two sub-organizations listed: The Durham Solidarity Center and the Youth Organizing Institute. Via the North Carolina Secretary of State records accessed while writing this article, ACRe’s charity status expired in May of 2014. Any donations received after 5/15/14 by ACRe, DSC or the Youth Organizing Institute were therefore likely received illegally. Attempts to locate a single IRS 990 filing for ACRe were unsuccessful. Here’s where it gets interesting, although Youth Organizing Institute is listed as an offshoot of ACRe, their website doesn’t collect donation through ACRe. Instead, Youth Organizing Institute routes its donations through the Southern Vision Alliance, just like Charlotte Uprising did for donations to their General Fund. As it turns out, Southern Vision Alliance’s website is also registered to Durham Councilwoman Jillian Johnson just like Durham Solidarity Center’s is. Johnson is also the registered agent for Southern Vision Alliance according to the North Carolina Secretary of State. Southern Vision Alliance is also a 501(c)3 charitable organization under tax ID number 61-1639641. The group originally named ‘Vision 2.0 Technology’ and was created in 2011 by Jillian Johnson, Elena Everett and Lanakila McMahan. The name was changed in July of 2014 to Southern Vision Alliance. Southern Vision Alliance and Loan Tran, Director of the Youth Organizing Institute were mentioned in a November 2016 meeting agenda of George Soros’ Democracy Alliance. The mention of the two groups was listed under ‘forging stronger alliances’. Following the money Democracy Alliance gives out is difficult as the organization is not a tax-exempt non-profit nor is required to file a 990 IRS form. One can hazard a guess as to the group’s reserves, with Tom Steyer and around 100 high-profile business people on board and with dues for membership allegedly hovering around the $200,000 a year mark. Nearly each one of the main Social Justice organizations and their off-shoots described in this article have an overlap of staff and members. All of them have been found to have ties tracing back to both Jillian Johnson and Elena Everett. This entry was posted in #SJW, Am Lens, Mapping The Left, THE LEFT and tagged Action for Community In Raleigh, Ben Carroll, Durham Solidarity Center, Elena Everett, Jillian Johnson, Southern Vision Alliance. Bookmark the permalink.